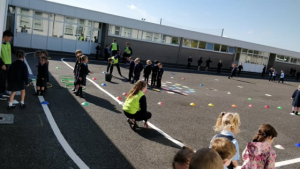 A big thank you to our 6th Class pupils who have been doing a super job at mentoring our new junior infants. 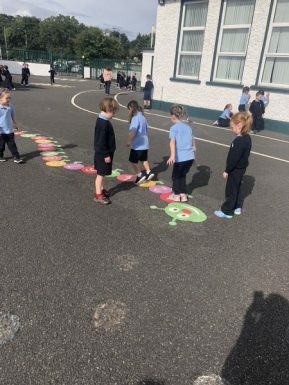 They organised games and activities for the month of September to help the junior infants settle in. 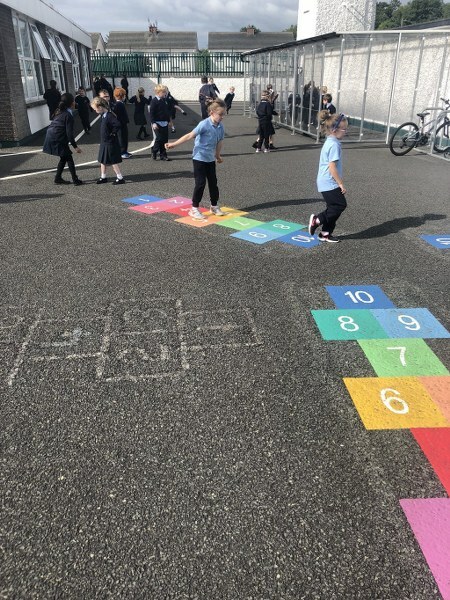 Pupils on the junior yard are having great fun playing on the new yard markings courtesy of our Parents Association. The yard is very colourful and the pupils are practising their long distance running on our new running track.